Welcome to Nepal , the land of adventure! Kathmandu Valley , the capital of Nepal , is situated at 4,423 ft. above sea level. The valley is surrounded by semi-green hills, terraced fields and towering snow-capped peaks in the backgrounds. Kathmandu , Bhaktapur and Patan are the major towns in the valley. All three are of great historic, cultural and artistic interests. The architectural history of the valley is said to have begun with the Lichhavi and the Malla kings. Today, the ancient monuments and temples are the center of attraction for visitors, particularly the seven World Heritage Sites, designated by the United Nations Educational, Scientific, and Cultural Organization (UNESCO). Please find brief descriptions of each site in the itinerary below. Not only the ancient temples and monuments that make the valley interesting but also the diverse cultural groups that make their home here. It is the base camp for all visitors to Nepal and a perfect place to explore history and culture of this Himalayan Kingdom . Nepal being an undeveloped country, its shape and face is changing daily bringing environmental degradation, and is affecting the world heritage sites. The influence of modernization is engulfing the ancient treasures of Nepal . Therefore, we request the visitors to contribute their good ideas on how to save the world heritage sites of Kathmandu Valley by improving its environment. We offer fine quality hotels and resorts in Kathmandu and its surrounding hills when you are on our tour programs. 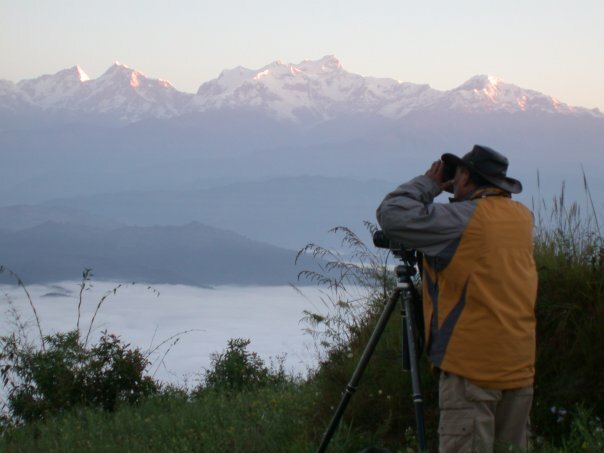 The valley rims, Nagarkot and Dhulikhel are perfect places to escape the hustle and bustle of Kathmandu . From these hilltops, you can enjoy striking mountain views, sun set and sun rise over the high Himalayas , and breathe fresh air in the ambience of the tallest mountains in the world. We organize treks of various lengths in the surrounding hills to provide you opportunities to visit local villages to explore the local cultures. People who plan to spend more than couple days in the Kathmandu Valley should consider these treks. Can the magic of flight ever be carried by words? "Why do you want to climb the Everest?" was the question which prompted the now world famous quip, "because it's there!" We have for decades tried to comprehend what it is that drives men to push themselves to the limits of their physical and mental endurance. Many have tried but failed to summit the Everest, the highest peak in the world. It has been the exclusive realm of a select breed of mountaineers, always inaccessible to other mortals. The Everest Express, one of the world's most exclusive tours, is a lifetime experience. A flight that takes you deep into the Himalayas, flying into valleys close to the rock face, as close as five nautical miles from the Everest itself. Now you can see the stunning beauty of nature; raw, undiluted and truly majestic. Know you're Everest Express Mountain Fly by Yeti Airlines or Buddha air is famous in Nepal . Upon arrival, meet at Kathmandu Airport and transfer to hotel, check in, refresh and depart for Bouddha Stupa Tour. Evening-Nepali dinner and folk cultural show. Destination: Kathmandu Cultural World Heritage Sites and scenic Himalayan views with sunset and sunrise from Nagarkot hilltop.